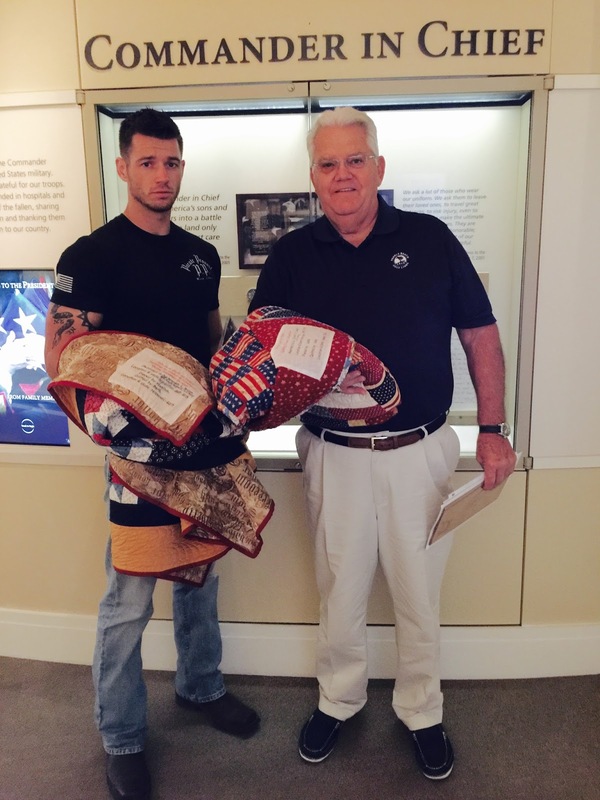 A year and a half ago, I received an e-mail from a lovely woman on behalf of the Quilt of Valor Foundation letting me know she wanted to honor both the Captain and the Ranger with QOV presentation quilts. To say I was touched doesn't even begin to cover it. From the moment Marina reached out, I knew we were destined to become life-long friends. The list of reasons for this unexpected but cherished connection is far too long for this blog post; however, suffice it to say, at the very top of the list is the fact that Marina is a true and faithful Patriot who loves America's veterans and appreciates their sacrifices and the sacrifices made by their families every single day. Plainly put, she loves my son and father for their service and the men that they are as much as I do. 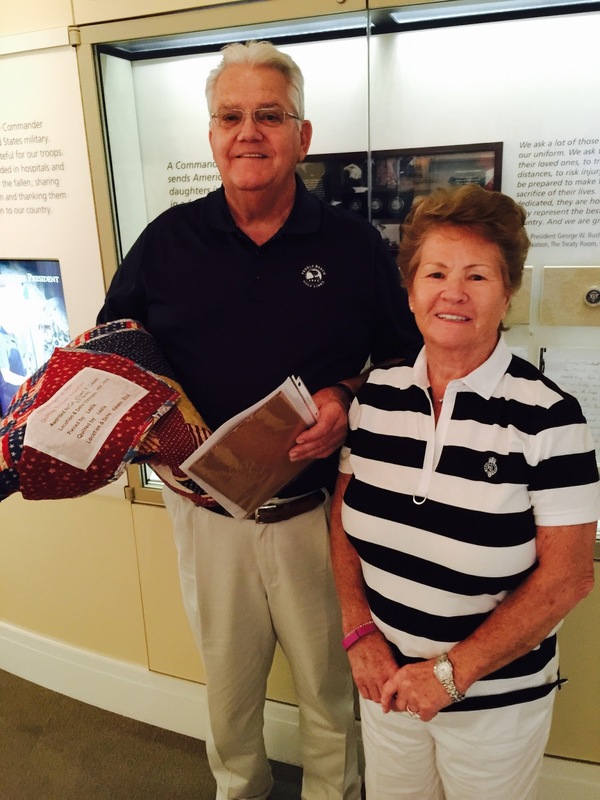 Since 2003, the mission of the Quilts of Valor Foundation has been to cover service members and veterans touched by war with comforting and healing Quilts of Valor. To date, the Quilt of Valor Foundation has awarded 133,131 quilts. The fact that Marina chose our son, our Ranger, to be the recipient of the very first QOV she has ever created means more to me than I can tell you. Receiving these two quilts from Marina was even more emotional than I expected. In fact, when the box arrived, I couldn't bring myself to open it because I thought if I did, I would never stop crying or get off the floor. You see, the quilts arrived just as Ranger was in the middle of his fifth deployment to Afghanistan. 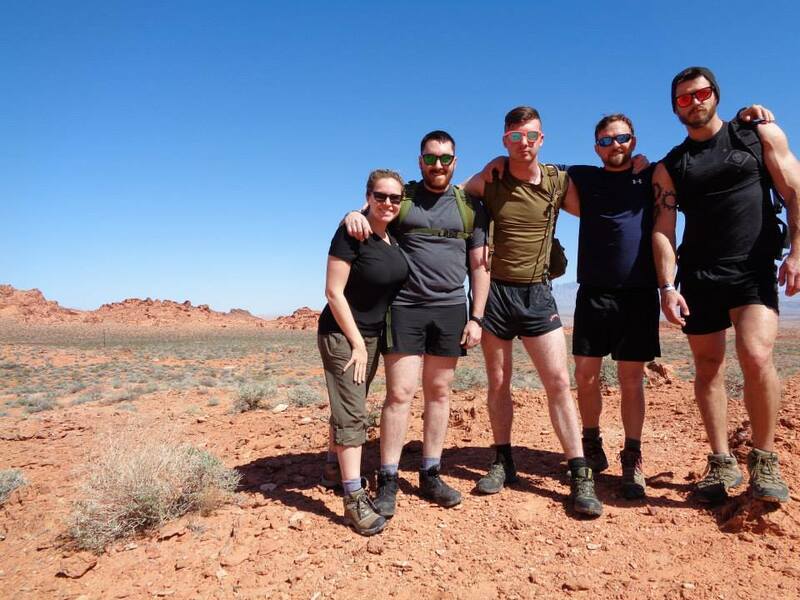 His safe return seemed a billion years away and although his decision to leave the Army had already been made, I simply couldn't allow myself to plan that far ahead. I could not plan to award these quilts or even share the news that I had received them with anyone. What was even worse, I could not give Marina an answer as to when these quilts would be presented. Imagine that for a second... You spend months working on a quilt for someone and you send it off to be presented, only to be told it could be a year before the box is even opened. Yes, I agree, Marina is a Saint. In my defense, I wanted the presentation to take place with my father and son together; and, I wanted it done in a way and in a place that not only honored them for their service but also in a way befitting of the QOV Foundation and also honored the hard work, love and emotion I knew Marina and her fellow QOV volunteers had poured into these quilts. Although Ranger came home with his Ranger-brother for Christmas 2014, the timing just wasn't right to present the quilt; and besides, the Captain was missing. And, although my parents would meet Ranger and his buddies in Vegas to celebrate his birthday a few months later, I was not in a position to drop everything and run off to Vegas to present their QOV quilts. So we planned a spring get-away... Where we would drive from North Carolina and my parents would drive from California and we would all meet in the middle, in Dallas where Ranger is at University! But unfortunately, the Captain began experiencing some health issues that prevented their travel, so that plan fell apart. Honestly, I was beginning to think this would never happen... Until suddenly, all of the planets aligned and we found ourselves on a wild road-trip to Dallas last October! And, while I could have whipped out the, (still sealed) box the moment we all arrived at our hotel, I wanted to wait to do it somewhere special. Somewhere special like... 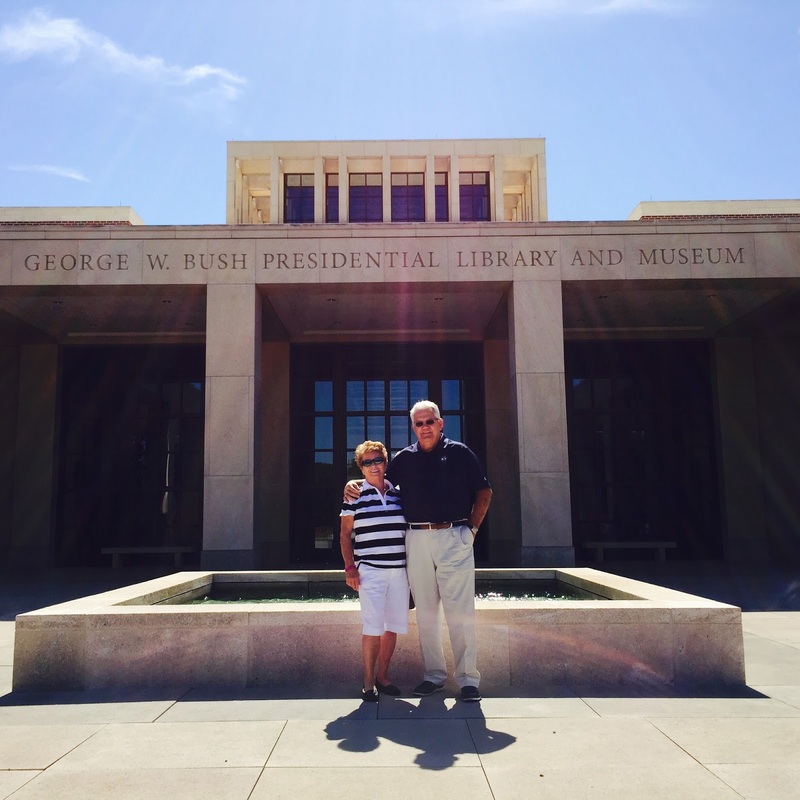 The George W. Bush Presidential Library! 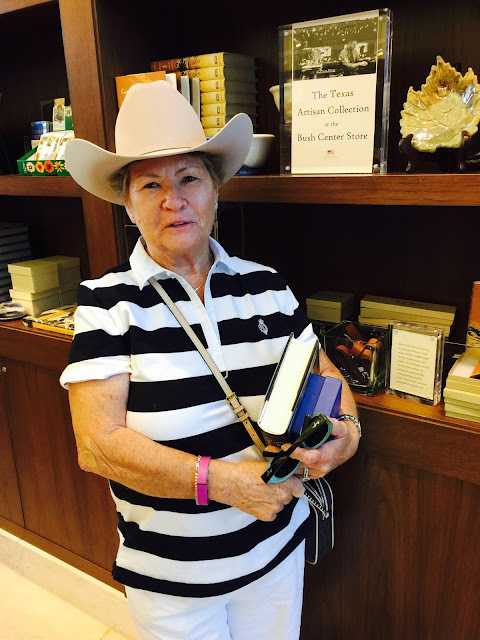 We have all visited the Reagan and Nixon libraries together and we always said we would one day check the GW and GH Bush libraries off our list too. 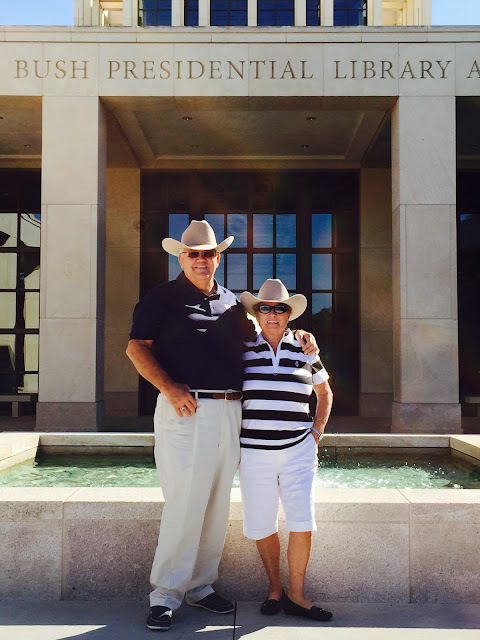 So when Ranger said he would cut his class day short and meet us at the GW Bush Library, I knew the time, location and opportunity would never be more perfect! and take away what I took away from our visit to his library... That George W.
And, that being an American is an awesome thing to be! 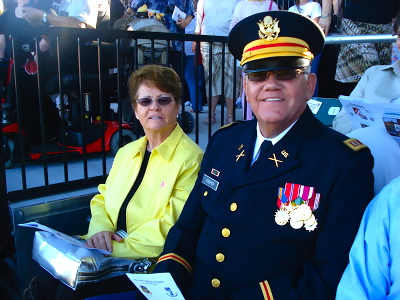 This is our Ranger Sargent and the Captain now - Both proud veterans of the Army! deeply your gifts are appreciated - We are in your debt... Forever and always! A touching tribute to your brave men, Janet, and well-deserved. Hoo-ah! What a wonderful tribute to to both men! Thank you both for your service. Thank you to the women who are doing this fo honor those who have served our great country. Thank you for sharing! May God bless you all! Just had to respond to your post. I completely agree with you on how you feel about President Bush. I too will go on the defense whenever anyone says unkind things about him. Like you, I also agree he was the perfect man for that specific time in history to lead our great country and keep things safe. I admire how President Bush respected and fully supported our military and it is quite evident how much he loves America. God Bless Laura also. 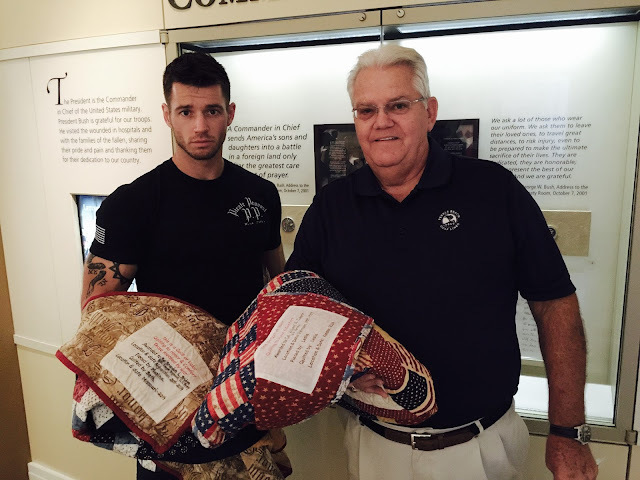 I also want to congratulate you and your family on this award of the Quilt Of Valor. 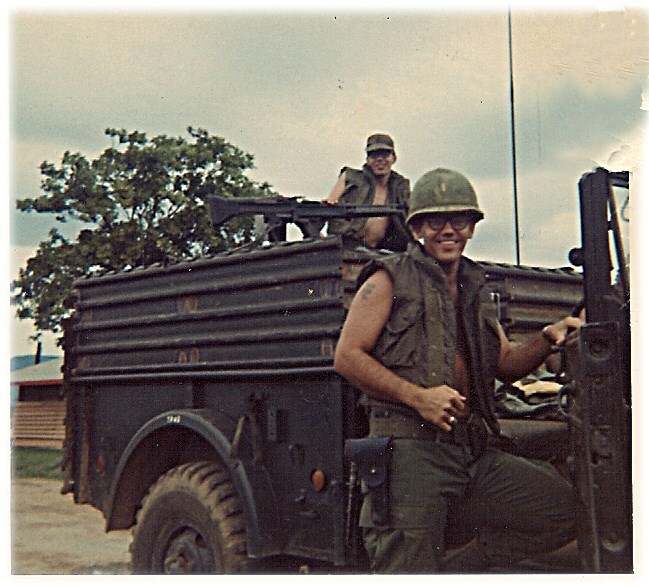 Seeing the photo of your dad in that "deuce and a half" truck while he was an officer in artillery brought back a lot of memories. Although it is difficult to see clearly from the photo, it seems like the mud on and around the truck was that good ole Pleiku mud that I remember so well. You don't say what area he served in so I am just guessing here. You go girl! It's your blog. Speak your mind. 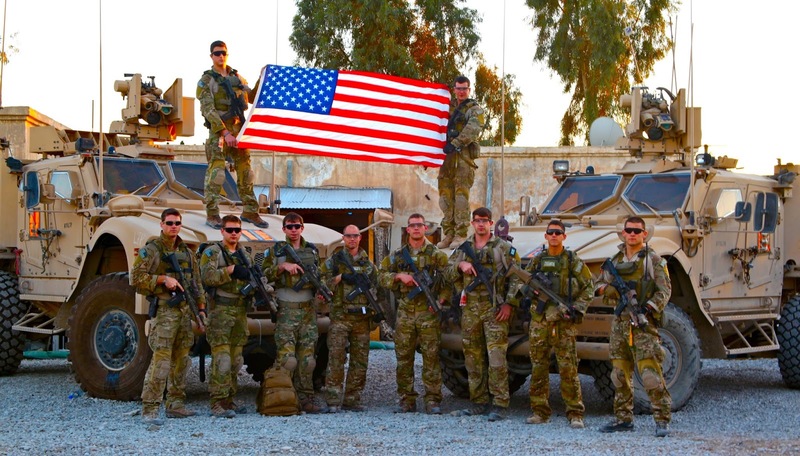 While we are poles apart on our feelings about Bush, we are totally aligned in our admiration and appreciation for our soldiers who sacrifice so much for the rest of us. 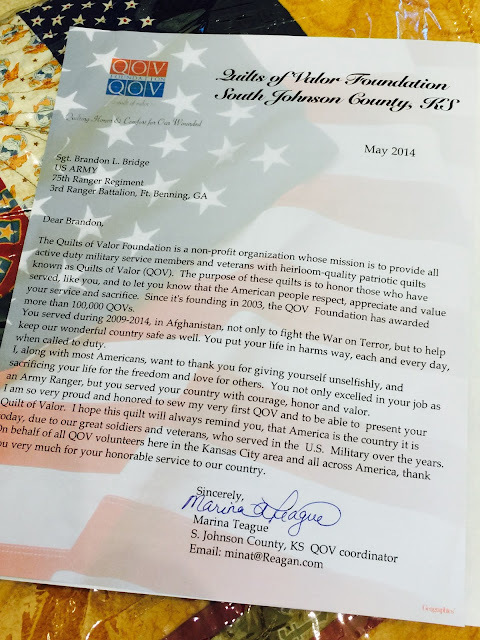 I love the valor quilts and think you chose the perfect spot in which to present them. I know you are bursting with pride. And rightly so. I've been following your blog for quite a while and I must say I LOVED this post. We are also a miltary family and feel like you do about President Bush. 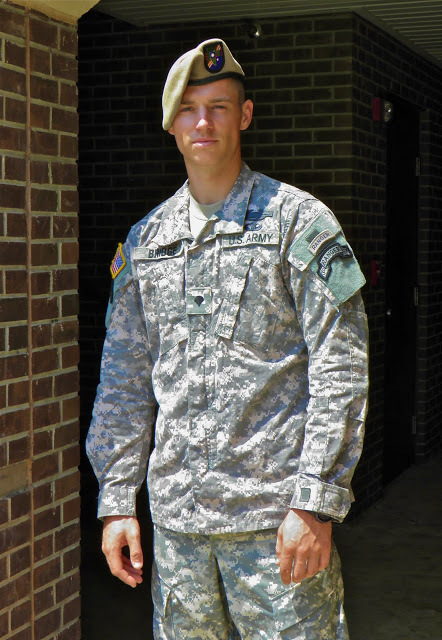 My husband served 2 tours in the sandbox and one in CONUS after 9/11. 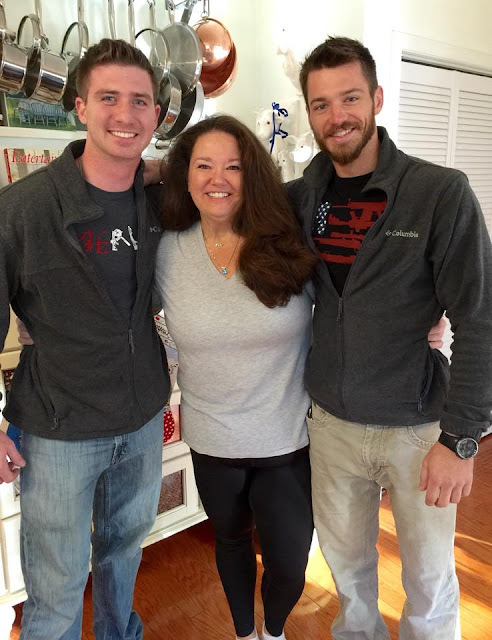 My oldest son and husband were in Iraq at the same time. Anyway-all that to say that the Bush library (and that spot) was a wonderful place to present these quilts. My husband and I visited last summer and it was a very touching place and tribute to a wonderful man. What a wonderful and winding story. Rangers still lead the Way! I have given our local QOV ladies nine names to be presented on 21 May, Armed Forces Day. The presentation will be held at a new Equine Therapy farm for veterans and their families. We are so excited! Such a wonderful story and tribute to honor those whom have served our country...Thank YOU for sharing. And Please Thank your Captain and Ranger for their sacrifice and service for our country. Hi Janet, it's Nick from work. You are the first (and only) blog I've followed. This is another great story from the many updates you've provided. 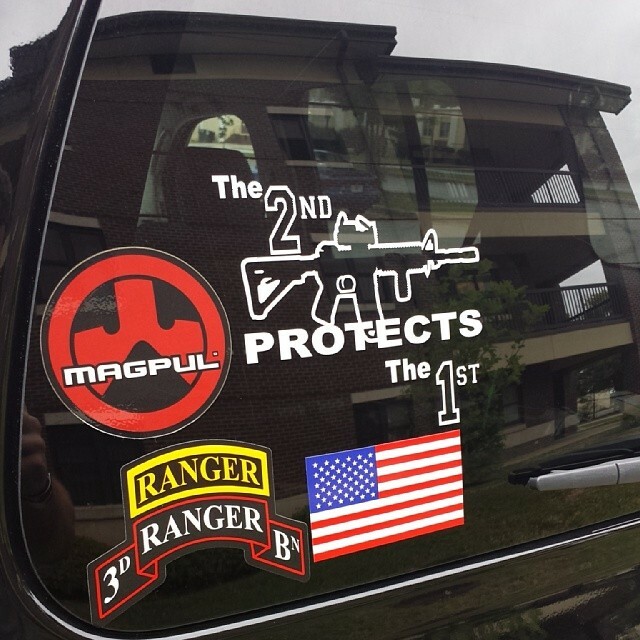 Thank you for sharing, and many more thanks to your Dad and son for their service.